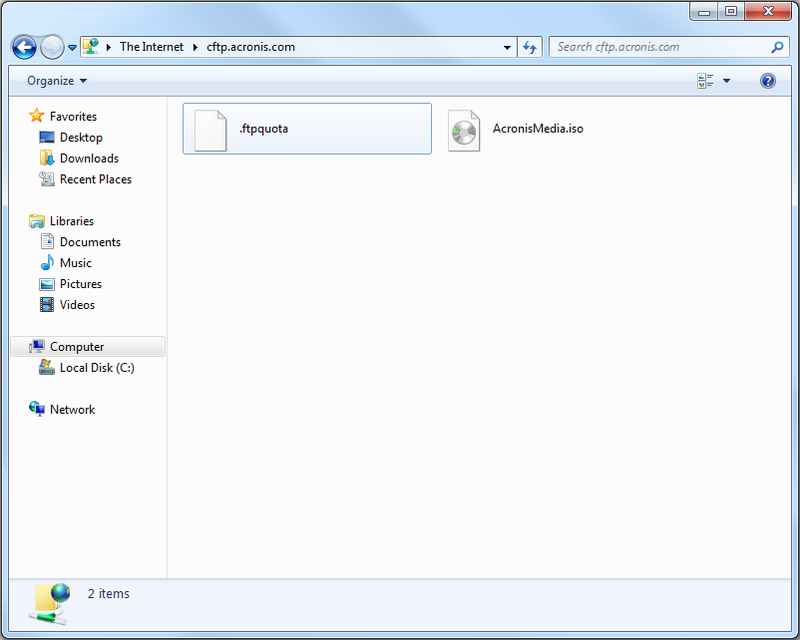 In some cases, you may be asked to upload files to the Acronis FTP Server. This is usually the case when the files are bigger than 5 MB, and cannot be sent via E-mail. 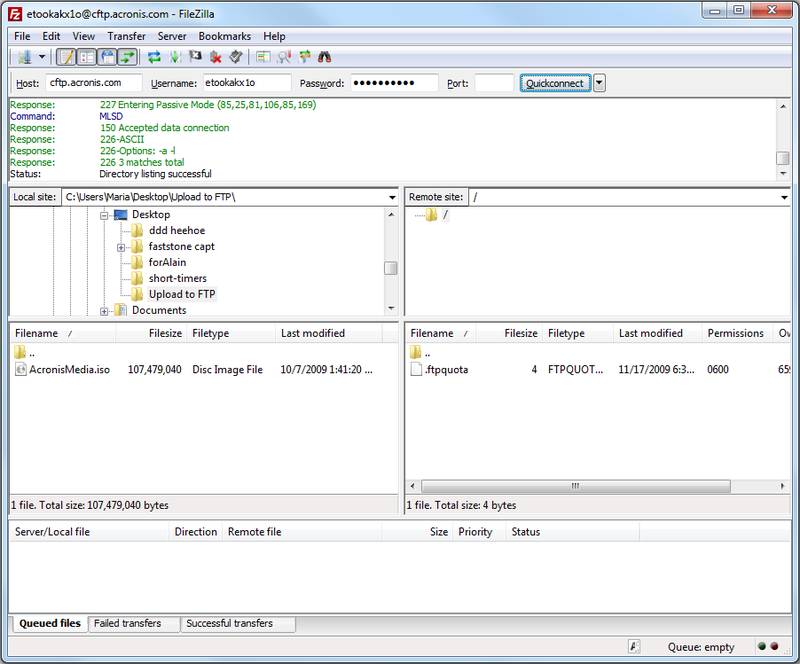 This article describes how to upload your files. 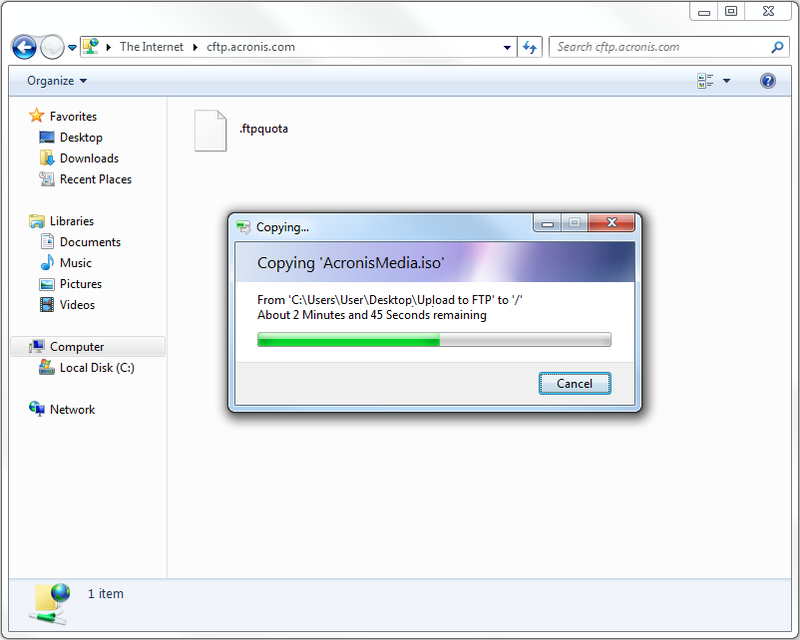 You have now the file(s) uploaded to the Acronis FTP Server. 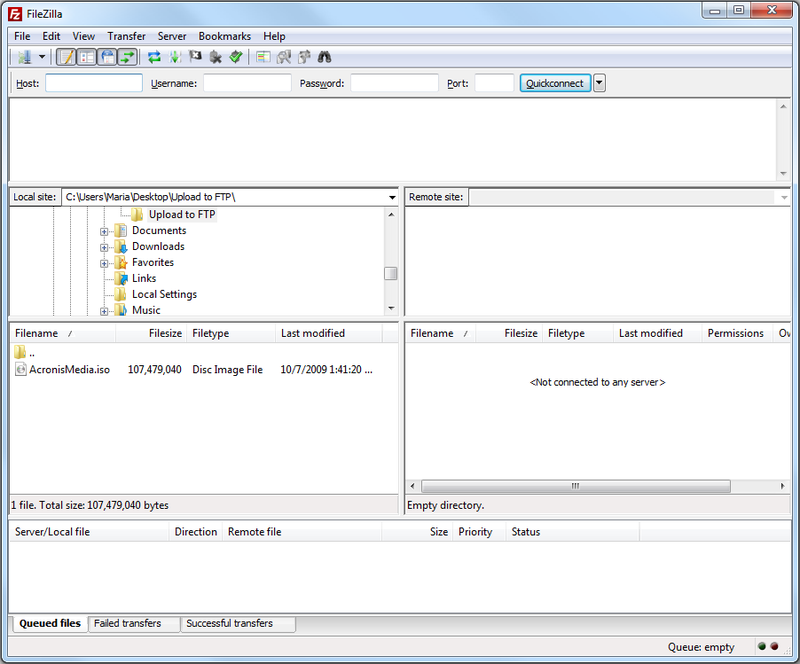 Mac has build-in FTP&SFTP client, however it only provides read access to ftp-shares. 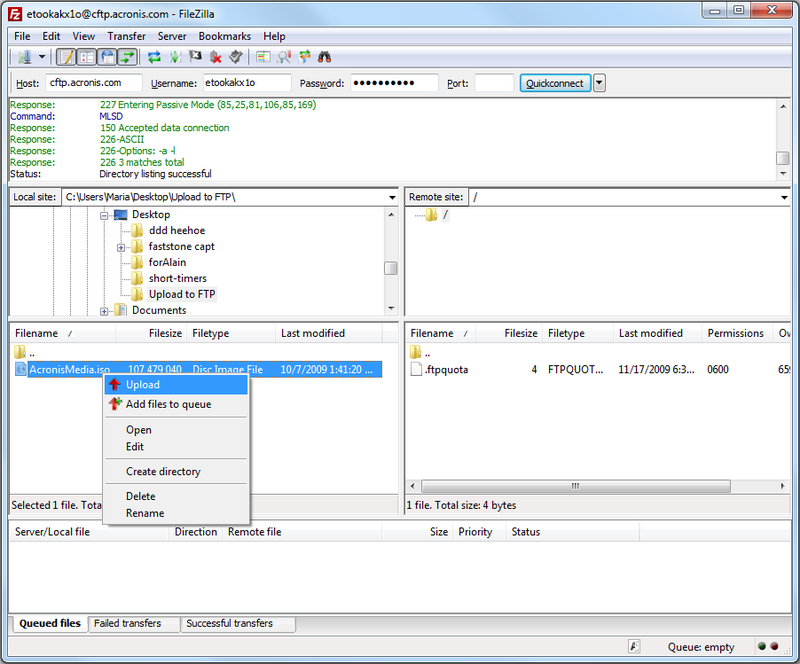 Please use a third-party ftp-client like Filezilla if you need to upload files to ftp. Hit Command+K to pull up the “Connect to Server” window (alternatively, you can access this from the “Go” menu). 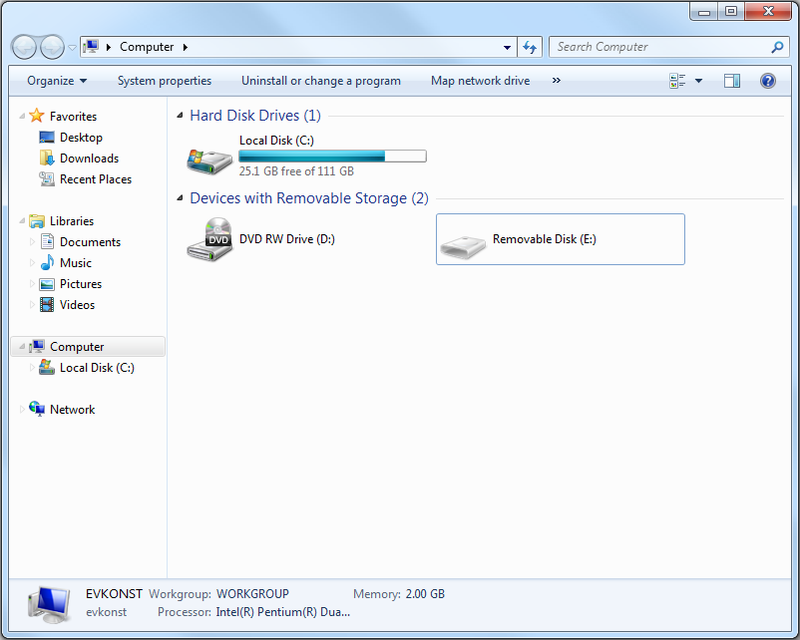 Enter the address of the Acronis ftp server you have received. When connected upload/download files with drag and drop, as you would do with any other folder on your Mac. You can also extract the login/password information, to connect to the Acronis FTP Server directly from the upload link. 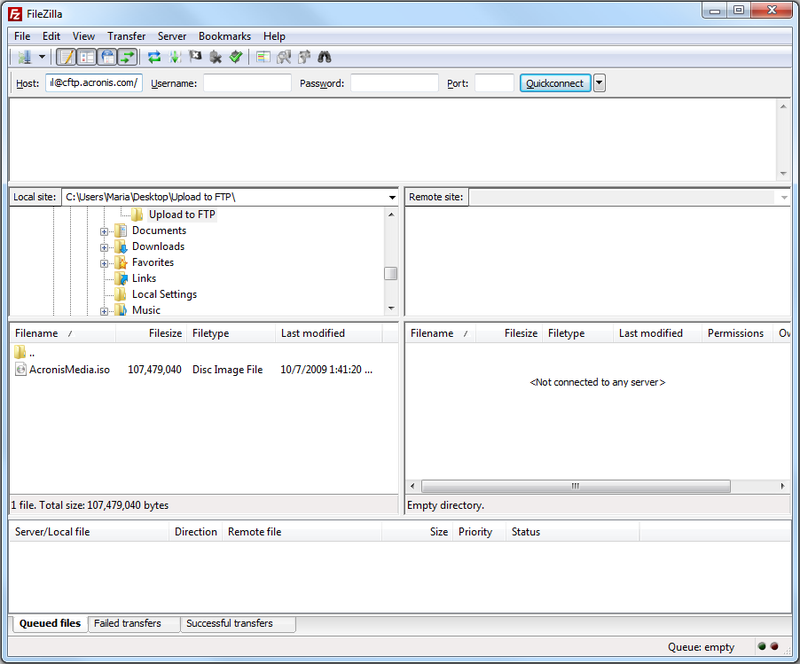 The FTP port is 21 (outbound connection).